UXO News Wire Service (UXO Blog): Catch of The Day, Unexploded Grenade? Police responded with bomb technicians from the Royal Logistic Corps and transported the item to a nearby park for disposal the following morning. 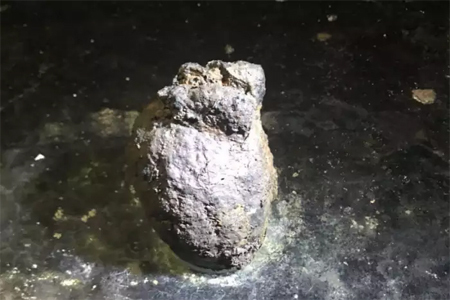 The bomb technicians identified the item as a WWI hand grenade.